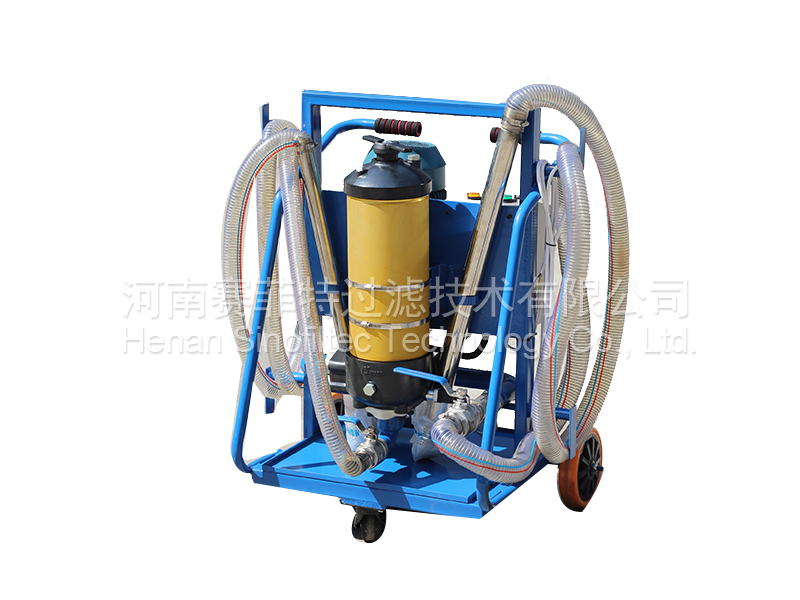 The mobile oil purifier is small in size, light in weight, flexible in function and reliable in price. It is composed of a secondary filter. A strainer is installed at the inlet of the oil pump to filter out large particulate pollutants, protect the oil pump and extend the fineness. The life of the filter. 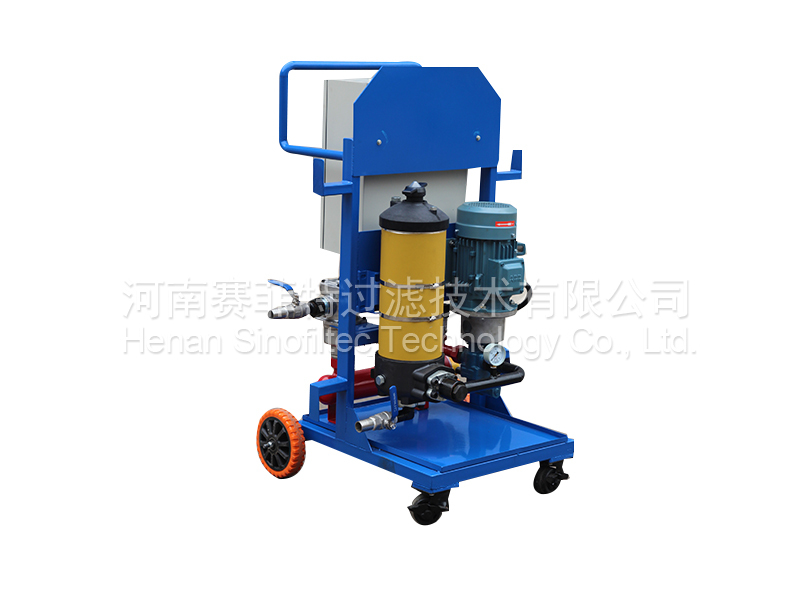 The oil filter housing mounted on the oil purifier has a quick-opening structure, which requires a simple tool to quickly and quickly open the upper cover and replace the filter element. The pressure gauge is installed on the panel. 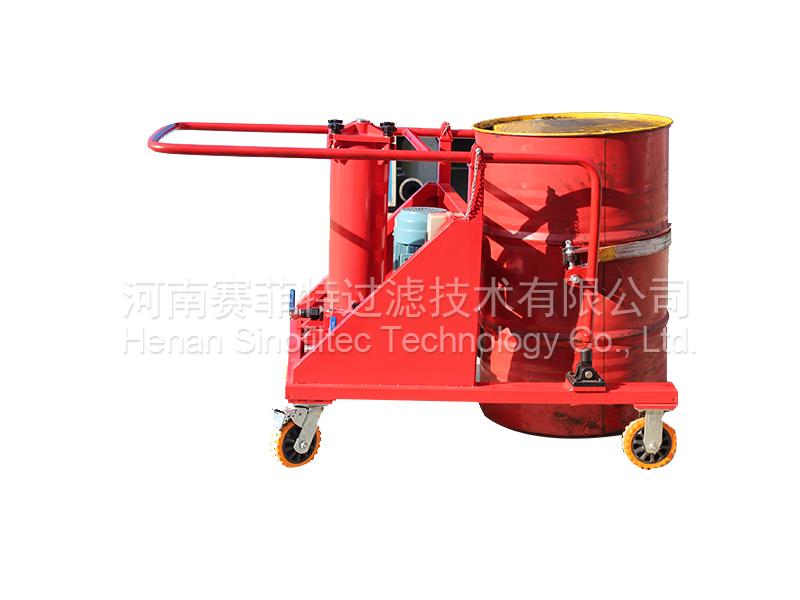 During operation, the operating condition of the system and the pollution degree of the filter element are continuously indicated. The motor is protected by thermal relay to prevent motor damage caused by motor overload. 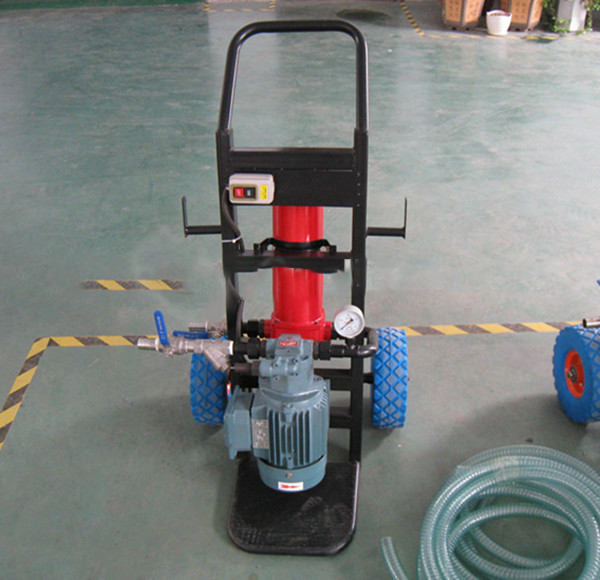 The fine filter can select different precision according to different needs of users. To achieve the desired result. 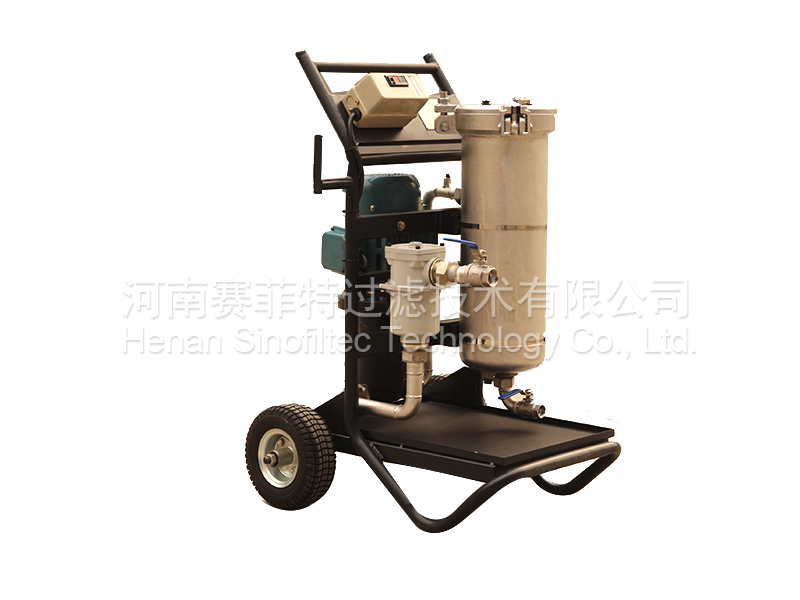 Filtration accuracy, There are two grades of filtration, 3 ~100 microns. Filter media, omitted: normal hydraulic oil. 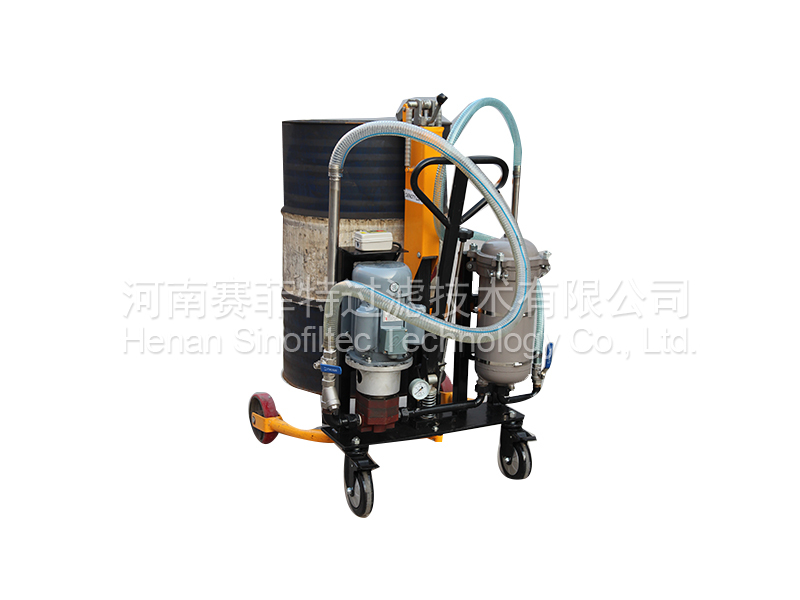 V: phosphate ester hydraulic oil . (1)Filtration of hydraulic lubrication systems when refueling. 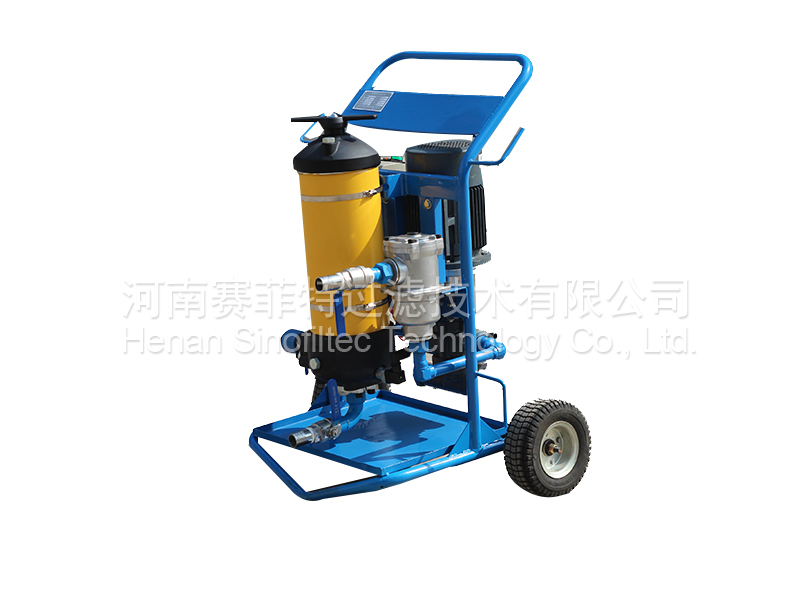 (2)Bypass filtration when hydraulic lubrication system is in operation. 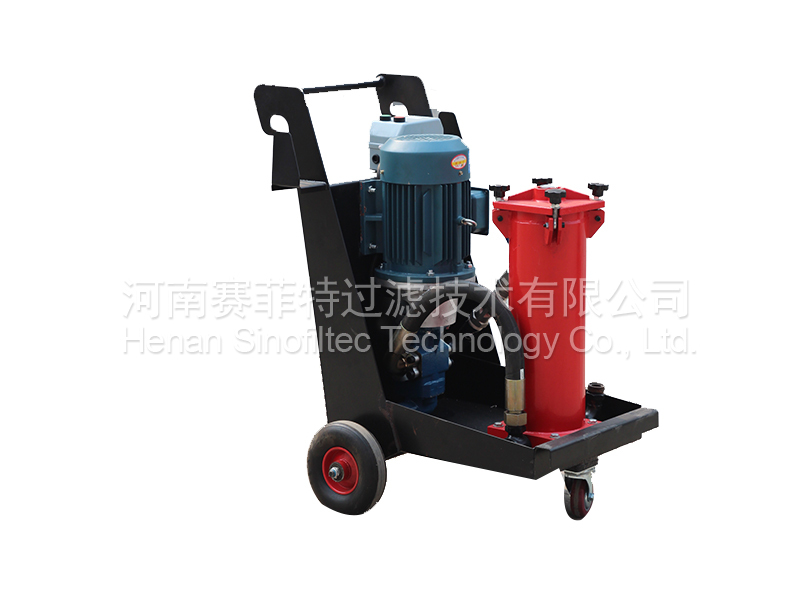 (3)Cyclic filtration before the hydraulic lubrication system is put into operation. (5)Filter of the equipment itself. Sinofiltec technology Co.,Ltd has the perfect testing equipment and quality assurance system, has passed the ISO9001-2008 quality system certification. our products are widely used in aerospace navigation, petroleum and petrochemical industry, oil and gas drilling industry, energy and power industry, iron and steel metallurgy industry, biomedicine industry, textile & chemical fiber industry and military equipments and other fields. 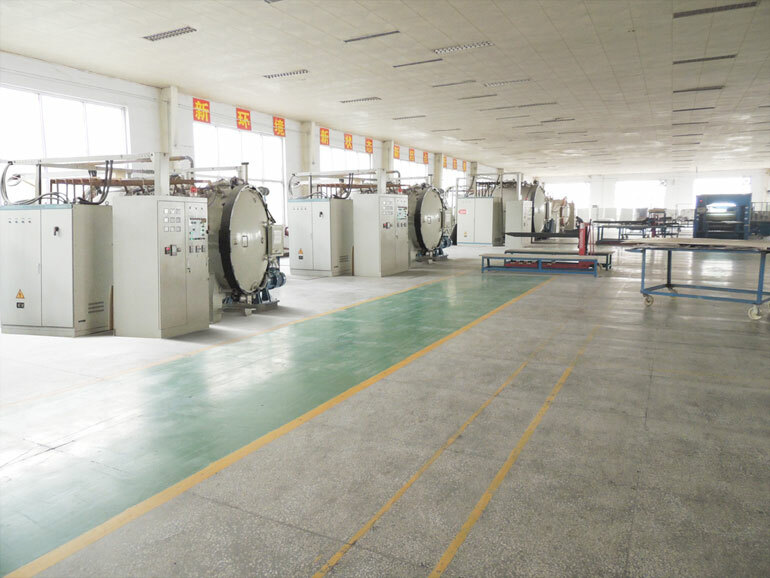 We offer the high quality filters and filtration projects for the global customers to save the expensive operating cost. 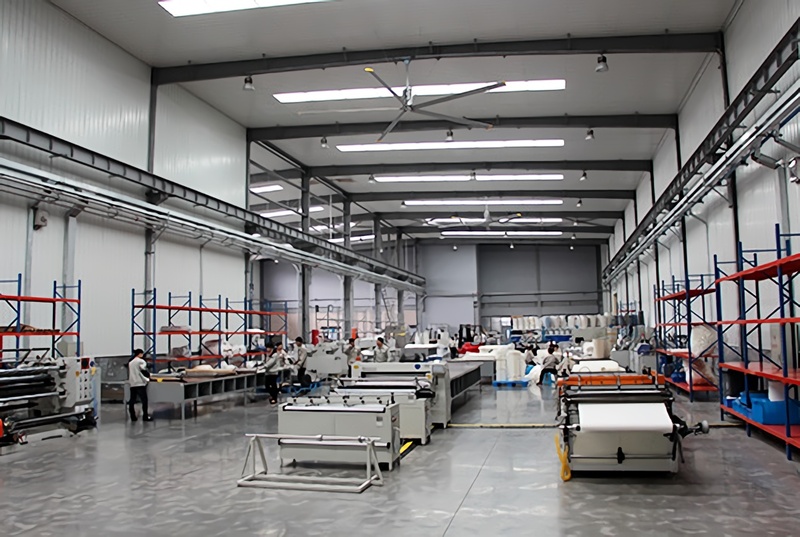 Sinofiltec technology Co.,Ltd would like to communicate and cooperate with customers widely at home and abroad, and truly to creat more value for our customers, truly to achieve the best use of things and the value for money !